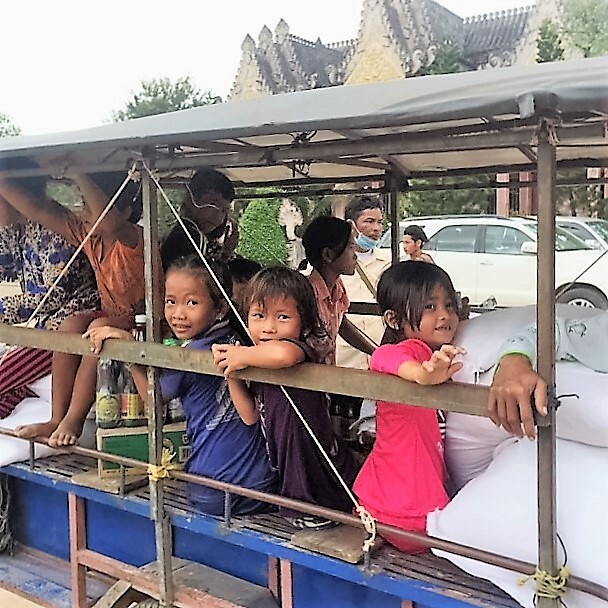 Fairview residents, Lance and Joni Dowd went on a life changing 18-month mission trip to Cambodia with their church, The Church of Jesus Christ of Latter-Day Saints. They were accompanied by seven couples from their church. Each person was assigned responsibilities based on their skill set. The Dowds were given public affairs assignments. They met with government officials of Cambodia to organize fundraising efforts and distribute humanitarian aid. While there, they lived in Phnom Penh. Their days were a mixture of meeting with government officials and working in the field. One of the projects they worked on included delivering 500 bicycles to children who attended a remote school. Before receiving the bicycles, the children would have to walk to school in the dark to make it to school on time. The Dowds also participated in feeding 900 people in need due to a drought. Joni said, “The people applauded us.” As was the tradition, they touched the food, and then touched the person receiving the food signifying this food was for them. 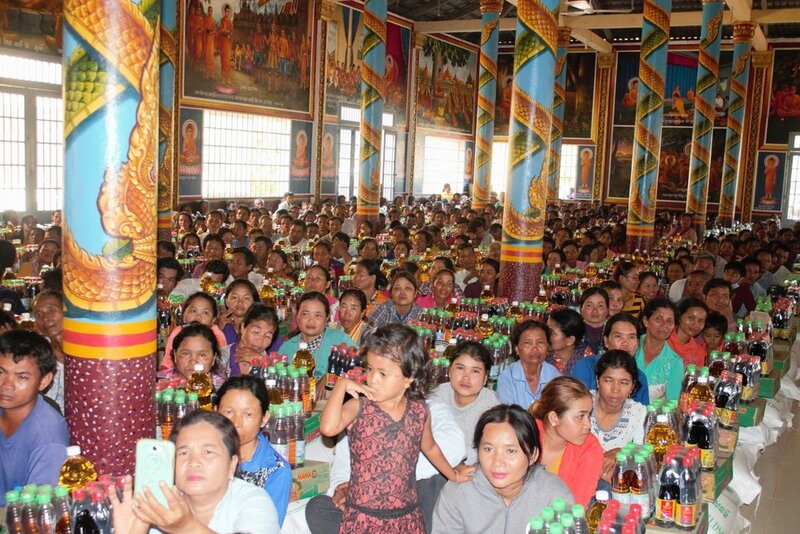 This meeting took place in a pagoda that Joni describes as being filled with people sitting shoulder to shoulder. She said, “I looked in their faces. Some would squeeze my hand. They were starving.” In her mind, she contrasted this experience with people she knows who complain about the salad they are served. They donated wheelchairs, which were custom fitted for those who had lost limbs due to accidents involving active land mines. They delivered donated eyeglasses. They were able to help organize a fundraiser to raise money towards building a women’s cancer hospital. They held the first ever Christian Community Luncheon where they met with other Christians to discuss ways they could serve together. They selected ministers to go to a symposium on religious freedom in the United States. Local TV stations covered many of these events. Regarding what made them laugh while on this 18-month adventure, they said, “Each other”. A moment of levity came when they picked up a birthday cake they ordered with the directions, “Just write Happy Birthday”. When they picked up the cake, it was decorated with the words, “Just write Happy Birthday”. They had nametags written in Cambodian, which they wore to a meeting, and after a few odd glances, they were informed they were wearing each other’s nametag. They found it interesting that many Cambodians have phones even though they are destitute. They have been contacted by some people they have met via Facebook.